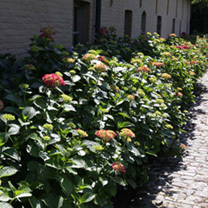 Hydrangea macrophylla 'Alpenglühen' is compact, deciduous shrub with shiny, medium-green foliage and striking flower heads of red-pink in alkaline soil and if the soil is slightly acidic, it’ll produce blooms that are shades of lavender, blue and mauve. Flowers are not the only thing that changes colour, the foliage too will change in to hues of maroon in autumn. Flowers July-September. Height 90-100cm. Supplied in a 7.5-10 litre pot. 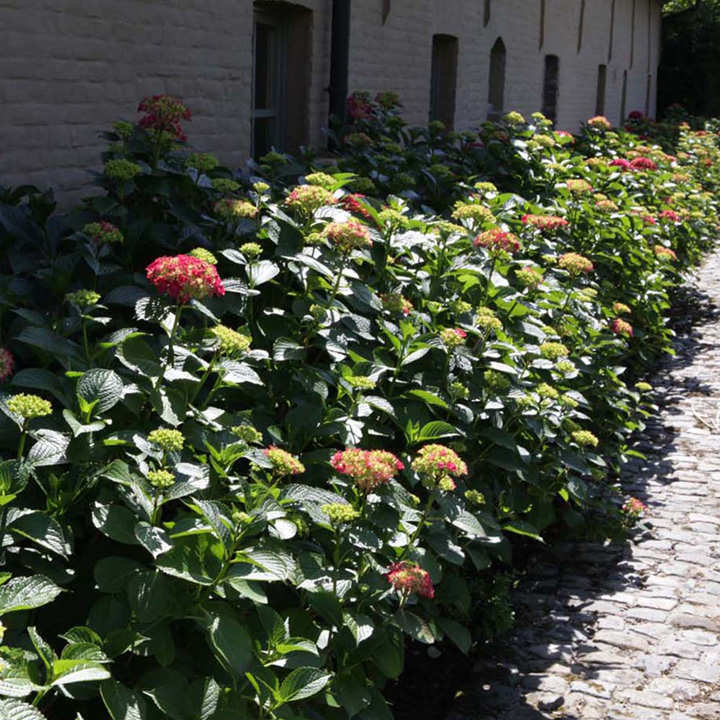 Hydrangea macrophylla 'Alpenglühen' is compact, deciduous shrub with shiny, medium-green foliage and striking flower heads of red-pink in alkaline soil and if the soil is slightly acidic, it’ll produce blooms that are shades of lavender, blue and mauve. Flowers are not the only thing that changes colour, the foliage too will change in to hues of maroon in autumn. Flowers July-September. Height 90-100cm. Supplied in a 3 litre pot or 7.5-10 litre pot.